As many of you may already know, I had such a fantastic night earlier this week on June 15th when singer/songwriter Kina Grannis came to Northern Virginia for her Stairwells Springtime Tour at Jammin Java. It was such a great experience to finally see her perform live and meet her in person during the meet and greet. 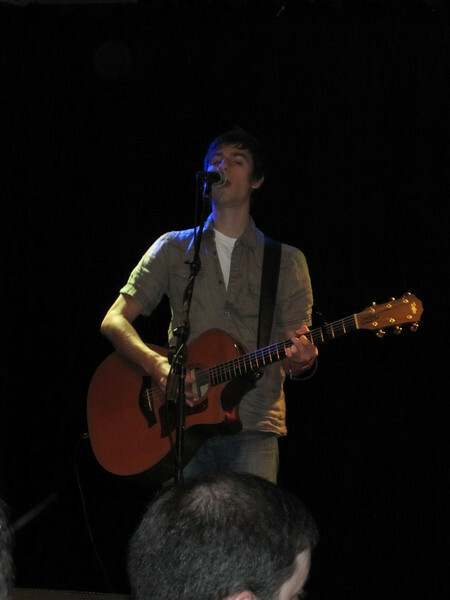 The show at Jammin Java was a sold out show, so it was a full house! Just like everyone has told me, Kina is prettier and sings even better live. She did not disappoint anyone. But before I go into the details into the night, let me explain to you how I became a fan of Kina. This Kinerd experience started earlier this year around January 2010. Faxo.com had their Top YouTube Musican for 2009, and at that point, I was already a Digbyholic, huge fan of Marié Digby (which all the Digbyholics already know, I still am). I spent my days and nights during that month voting for Marié every hour that I can get. I even logged into my work laptop to vote so that I can vote for Marié 3 times an hour. We then see Marié skyrocket from like #38 to like #2 in under two weeks. It was just amazing! Then as the month's went by.. I started to notice an artist by the name of Kina Grannis quickly surpassed Marié and it was nearly impossible to catch up to her votes. The voting ended off with Kina being #2 and Marié being #4. So curious to see what Kina is all about, I go to her YouTube channel, and at first, I wasn't fond of her more mellow songs. As I continued to listen to more of her covers and originals, I started to notice that she's actually really talented.. just as talented as Marié. I later found out that she won a record label deal with Interscope Records when she won the Doritos Crash the Super Bowl contest in 2008. She later made the toughest decision to walk away because the record label wanted her album to go in a different direction, but she already had put sweat and tears for years into her current tracks for her album. With all the support from her Kinerds, she never looked back from decision and made her Stairwells album successful all by herself with no record labels, manager, or publicists. This made me respect her and support her even more. Just a month later after that Faxo contest, Kina announces the release date for her Stairwells album and that she will be signing all the album pre-orders. I quickly pre-ordered the album and happily was excited when it arrived. Her album also did not disappoint! Every single track is superb. A couple of months later after that, Kina announces she will be going on a nationwide tour! Around this time, I was tweeting both Kina and Marié, and both occasionally would respond back which makes me love both of them even more. They would also occasionally tweet each other. Just throwing it out there that I think it's cool that two of my favorite artists tweet each other haha. Hoping for dear life that she was coming to Northern Virginia, I kept tweeting and hoping that she would come. The day came and she announces her dates and venues and **drum roll please** she is indeed coming to Virginia. What are the chances that I was able to meet two Californian local artists come over to the east coast to perform? Seemed like a slim chance before, but now my dream has come true! As soon as I found out the tickets are on sale, I quickly bought two tickets for myself and my sister. Now fast forward to mid-May, and I find out the show at Jammin Java is sold out. I quickly tweeted Kina about it, and excited it would be a full house. So, now comes the day that I've been waiting for... June 15th--the day of the show. I requested to leave early from work that day because I know it's a full house and wanted to be able to eat dinner and have enough time to get a good seat (yes, it was a seated show). I left the office about 2pm, and headed home to change into jeans. I headed off to pick up my sister at 4:30p, then had dinner at Wendy's, thereafter. Knowing we have a lot of time, we tried to take our time and eat at Wendy's. 6:15p rolled around, and I wanted to do something or get something so Kina would remember me. To make it a bigger impact, I decided to get flowers on behalf of the Digbyholics because I know that her and Marié stay in touch once in a while and what make bigger impact by having another fan base which also loves and support Kina. You can see the picture of the flowers below. We arrived at Jammin Java about 6:45p and surprised that there was already a good decent line to get into the venue for good seats. By the time my sister and I got in and rushed to get first come-first serving seats, we were about five rows from the stage--right in the middle. Still not bad, but for a small venue, I think it's not the best haha! The merchandise booth was already open, so I decided to head over and buy Kina 'bling bling' before it gets crazy after the show. I got two guitar girl shirts (one for me and one for my sister) and a guitar girl keychain for my sister. 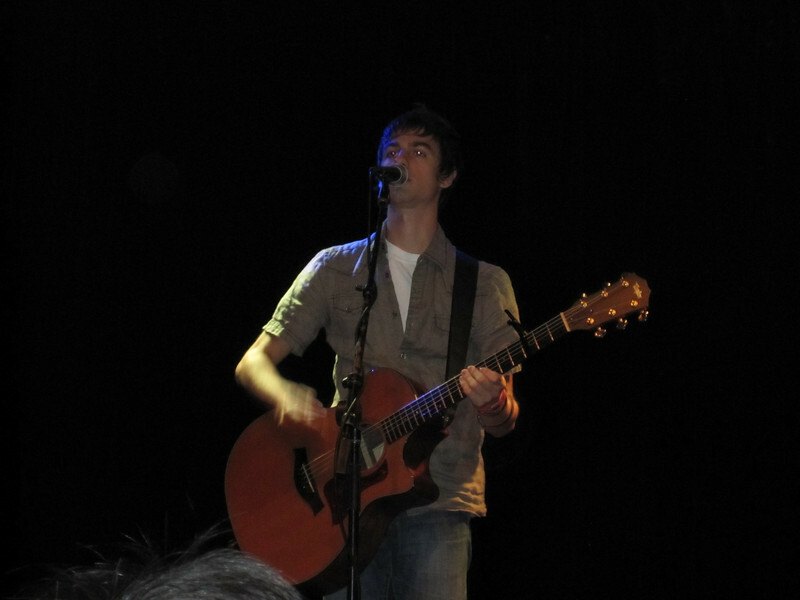 The show started about 8:15pm and Adam Swink opened the show for Kina. He wasn't too bad. He sang about half a dozen songs. Kina later entered the stage around 9pm. The crowd goes wild! She comes out wearing a cute blue dress holding her guitar. When she sings her first song, my sister and I were just amazed how much better she is in person, vocally! I was video recording the whole thing on my new Canon PowerShot SD4000 IS while my sister took pictures. Luckily, I had just enough battery to record the whole show. Here's the set-list for the show at Jammin Java. You can click on each link below to see the video I recorded. ...or you can go to my YouTube channel and view the whole show as a playlist by clicking here. The playlist contains extra videos where she talks a bit before some of her songs. Once the show ended, the line for the meet and greet begins, and the line was much longer than when Marié came to perform. I'd say the wait was about an hour or so.. It was definitely worth it because I got to meet Kina and can't leave empty handed since I promised Carina, who is also a fellow Digbyholic, that I would get her album signed since she's all the way from Germany. Fast forward an hour waiting in line, it's finally my turn.. I've been standing in line trying to remember everything I wanted to tell her, so I don't forget.. I was totally starstruck when I met Marié Digby, so I didn't want that to happen again LOL. So I started by telling her that she and Marié are my most favorite artists and told her that on behalf of the Digbyholics family, we wanted to give her these flowers :). I was pretty sure I was the only person giving Kina anything, so it was easy for her to remember me and the Digbyholics. I also did get a lot of attention holding folowers LOL. 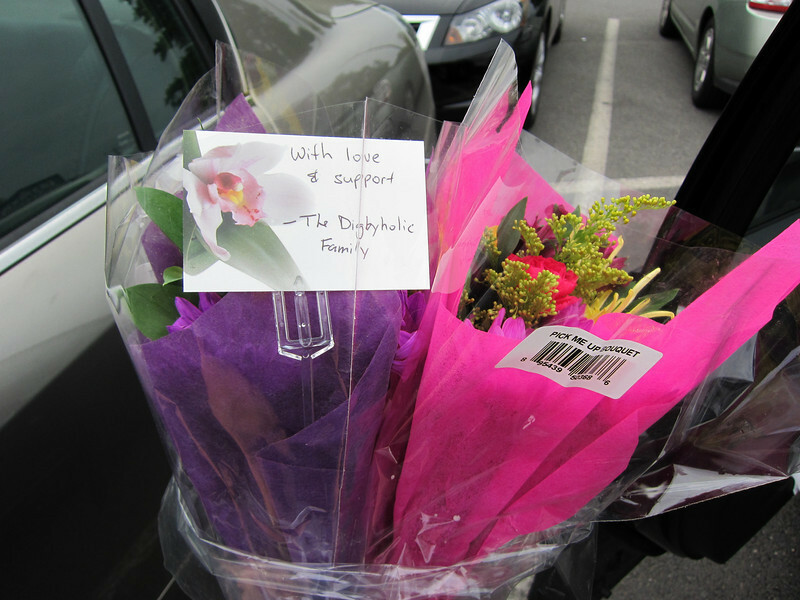 She said how much she loves the Digbyholics and how nice it was of us to give her flowers. Below is a picture of me and Kina holding the flowers. After that, I asked her to sign all of her albums and a hard copy of The Register article about her professional life story. This article is from California but luckily enough Frank, a generous Kinerd, sent me a copy. You can see the story electronically by clicking here. Lastly, I asked her to sign a special album coming from a fan from Germany for Carina. Kina was really impressed the album made it all the way to my hands to get her to sign it. I then ended the night with giving a hug and telling her I was really sorry about the car break-in incident and thanking her so much for a great performance here at Jammin Java. For all the pictures taken by my sister, you can see them by clicking here. It was an absolutely memorable night! PS- I wish I was this prepared when Marié Digby was performing at the same venue last year in November... (sigh).